Barbers work with a mostly male client base. They will cut, color, and shampoo hair, but they may also provide shaving, facials, and hair-piece styling. As a barber, you should have outstanding people skills to ensure your clients are comfortable and happy sitting in that chair and entrusting you to spiffy up their looks. What Is The Average Salary Of A Barber? 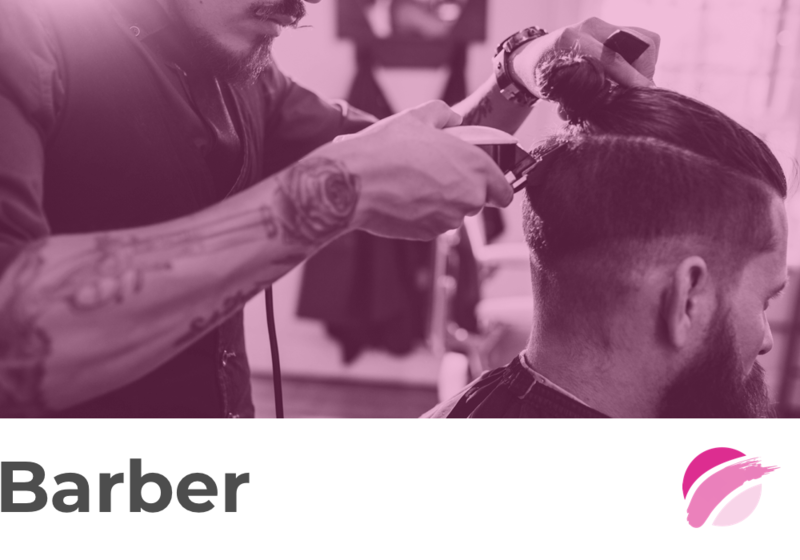 Barbers who work full time can expect, according to bls.gov (barber page), a median salary of more than $25K annually. This translates to $12.33 per hour. This median range does not include tips, which can add significantly to your pay. Barbers who own their own shop can expect to earn more due to the space rental and percentage they receive from their co-workers. Most barbers work full time, but it’s not unheard of to be a part-time barber. How Much Time Does It Take To Become A Barber? If cosmetology school is attended full time, it only takes 9 months to become a barber. To stay en pointe when it comes to hairstyle trends, barbers should take continuing education courses so your style is up to date. To become a barber, you must have a high school diploma or GED. Every state has its own specifications when it comes to becoming a certified barber, so be sure to explore your state’s guidelines. Each state has a licensing exam that must be taken in order to be a barber. This test has both a written and oral component as well as practical one.